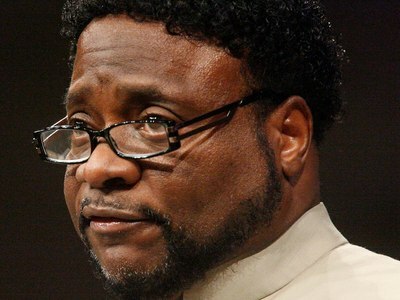 *There are new reports that mediation sessions could be close to an agreement in the sexual misconduct case of Bishop Eddie Long. Four young men have sued Long, his New Birth Missionary Baptist Church and the LongFellows Youth Academy, alleging Long coerced them into having sexual relations. Last year all parties agreed to mediation. An agreement would avoid a lengthy and costly trial. If an agreement isn’t reached, the case could go to trial this summer. Channel 2 Action News reported Thursday that mediation efforts to reach an agreement may be in the final stages, but none of the parties would confirm. “We don’t have anything to comment about the status of the cases,” Art Franklin, a spokesman for Long, said Thursday. News comes as Long conducted Good Friday services at New Birth, where he spoke on the importance of prayer and emphasized that the Christian message is aimed at sinners, reports the Atlanta Journal-Constitution. “There’s always somebody going to be yakking at you … you don’t have to answer to anybody but God,” Long said. The resurrection “was not for perfect folk … but for the least, those who thought they failed,” Long said. The only beings that should be attending his sermons should be crickets!! What happened to the fight he was prepared for?? He/the church is going to pay these guys off & the dummies that are in his congregation will replenish his & the churches coffers like the good lil sheep that they are. There is absolutely no way in hell that I would attend anything that has his name associated with it. I swear, people are so pathetic! when the story first broke, Eddie responded by saying ” I have 5 stones and I haven’t thrown any of them yet”. We now know those 5 stones were really 5 checks: 4 checks for the guys and 1 check for the attorney. noone really knows..these guys are adults big enough to know better they in my opinion set this up ..come on at a certian age you know what your doing and nothing always last 4ever..realizing the finacial status of the preach a friend told them what they could gain..soo sad…..but as i said we dont know and we wasnt there….! I thought he was David? 5 stones? Arrogant Jheri curl weave wearing dude. No wonder he has been so arrogant. He knew eventually he would pay them jokas off. He is a clown and the people that follow him are sheep being led to a cliff. Bro ham Riding around in a drop top and folks in his flock getting light bills turned off. Crook! God is dealing with the leaders in the church as we speak! How anyone could trust anyone who preaches in a muscle shirt is beyond me. And that hair. And I don’t for the life of me fully understand why he isn’t in the unemployment line. I really don’t. All the churches crave the darkness of evil, in tune with their lives justifying perverseness. Food, shelther and entertainment, is what comes out of their mouth. The world want blessings only not truth. God rains on the just and the unjust. Who are the complainers, God is not burdensome. The easiest way to gain instant acceptance as a black “leader” these days is to shove the word Reverend in front of your name. Or, if you are really greedy and ambitious, the word Bishop. GROSS! This guy is a gross looking thing, isn’t he? Muscle shirts, ridiculous pimp-hair, and all those gifts to those boys and supposed “rocks” he was gonna throw at them that proved that he had nothing or he would have said it THEN to defend himself. I don’t like rich preachers, first off, but then to use your POWER to do this stuff… ICK! But, keep giving these Big Church folks your money, instead of small missions, or charities that you know do good… sigh.